Rural School Technology Adventures: MyMaps: Student Created Maps! A journal that chronicles the changes in technology/pedagogy at a rural school (Ash Grove School District) in Southwest Missouri. 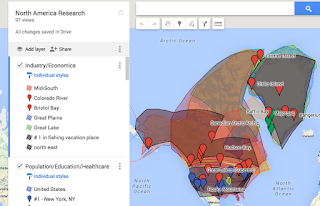 Earlier in the school year I introduced the idea of using Google MyMaps in the classroom. Over the last week couple of weeks, I began using it in a couple of my classes. The result of the students using MyMaps was stunning. While these maps are imperfect (missing details periodically due to student error), they demonstrate so many possibilities for student creation. First, determine what your goal/objective is for the lesson. For both World Geography and European History, it was an easy and natural fit to use MyMaps. In European History, I have always had students do some type of presentation (Powerpoint, Keynote, Slides) to detail the trips and explorations of various explorers. But as I prepared for that annual lesson, I decided to give MyMaps a go around in order to have a completely student created product. For World Geography, I have always wanted them to get a greater understand of the world's natural resources and the disparity of their use/production throughout the world. 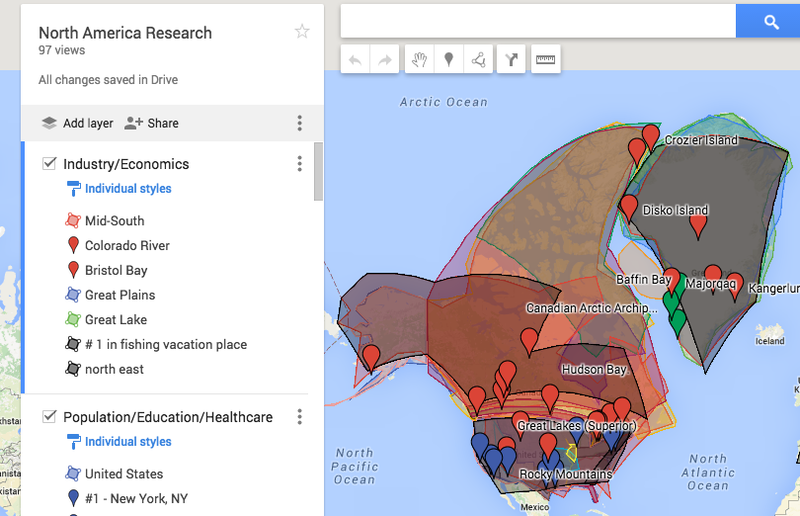 Tip: Create a generic map for students to look at, in order to understand how they can manipulate their own maps. Second, provide the guiding questions and objectives for students to quickly access and research. Tip: When creating the MyMap link as a teacher, go to mymaps.google.com. Then click share and change access to "Anyone at *School Domain* with the link" and "Can Edit." Next, copy the URL and post it on the Classroom Assignment. Third, students begin researching and posting their information to the linked MyMap. I had each student (or in my case pairs) create a "layer" on their MyMap for a couple different reasons. First, I wanted to be able to easily assess the students without having to search throughout the map for each students work. Second, it prevented students from accidentally deleting or changing other students work. Tip: There is a limit to the number of layers (10 Total) you can create, so be cognizant of the amount. Fourth, review students work and provide immediate feedback on their design and information. As students begin posting their information to the map, give them insight on how best to improve their layer. For example, having students use different colors/symbols in order to differentiate their work from other students (Ex. Christopher Columbus being the yellow line and markers). Some other ways to improve their map would be to include the following: Pictures/videos on markers, journal writings or data information for each marker, proper structure/organization on the side information bar. 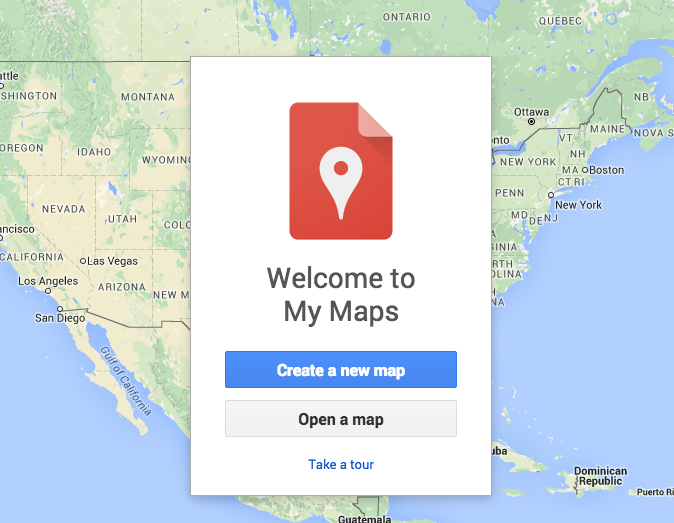 Tip: Unlike the other Google Apps tools, Google MyMaps does not automatically update as students work on it. However, if you reload the map, all the other work will be updated to your map. 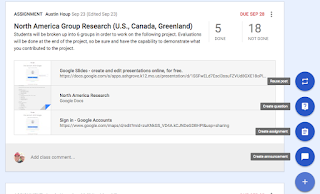 Fifth, share the student work with the rest of the world! 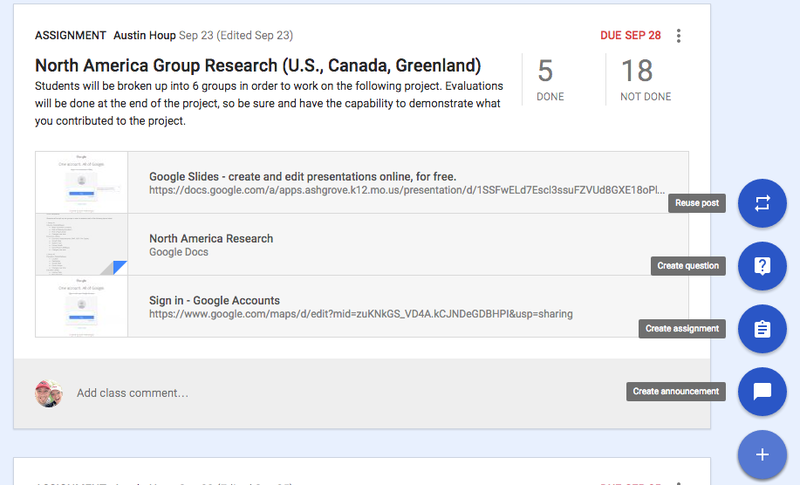 After students have completed the assignment, change the share settings to "On - Public Web" and "Can View." Then copy the URL and share it out to the rest of the world! Tip: Post it to Google+ in order to demonstrate your students work, as well as inspire other teachers to have students create their own resources! What other ideas do you have for student created maps? Ways to make the process even better? A video below to explain how I use this in the classroom! I am a huge fan of your maps. What a great authentic assessment.